FDA Approved & Permanent? Oh Yes! Electrolysis is an efficient way to remove hairs from the body and face permanently. The chemicals and heat energy used in the process of electrolysis, destroys the centre of the root of hair growth. 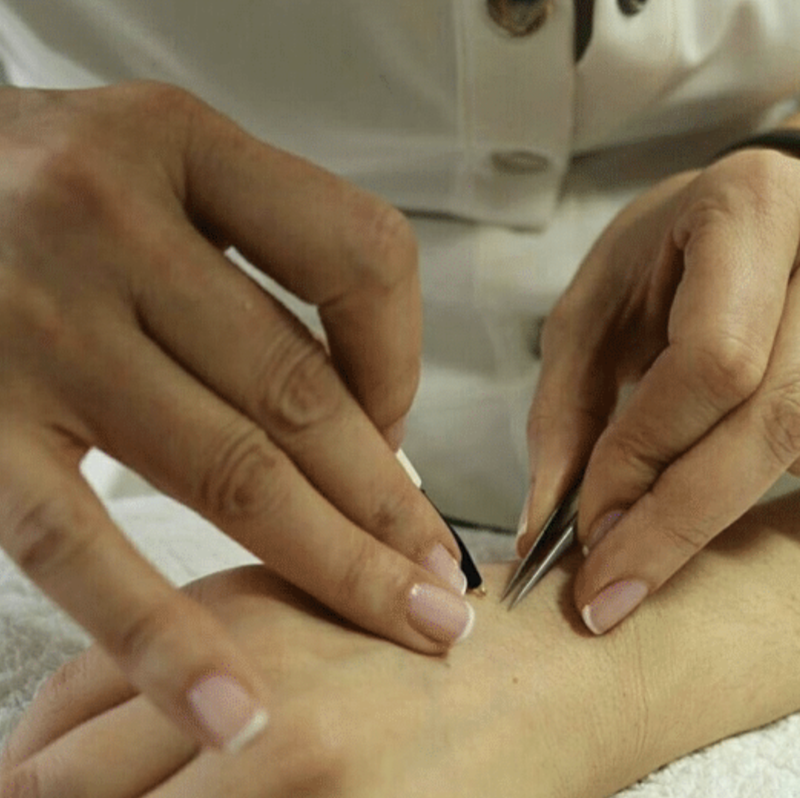 An extremely fine probe is instilled in the hair follicle on the skin surface, following which the hair is pulled out by tweezers. Electrolysis hair removal treatment holds a successful track record in removing hair permanently. What is the need for electrolysis? The hormones and heredity factors are responsible for hair growth. Sometimes a serious illness, consuming drugs and undergoing temporary hair removal treatments might result in excessive hair growth. When this excessive growth takes place in the wrong body part, it becomes an embarrassing factor for the person. To control this, a permanent solution is needed and availing electrolysis in London serves the purpose effectively. Electrolysis removes hairs permanently from the undesired parts of the body, which other temporary treatments don’t. In addition to this, it can treat almost all kinds of skin and hair from the face and body. The methods like threading, plucking hairs with tweezers and waxing are temporary ways of getting rid of hairs from your body. These may sometimes have serious side-effects like discolouration of the skin and hardening of hair. Using razors for shaving might lead to skin irritation and faster hair regrowth. Following these methods might cost you a much greater price than undergoing an electrolysis session for a permanent solution. There are many influential factors behind hair growth for which, you may need to visit your practitioner for multiple sessions of electrolysis hair removal. The exact number of visits required depends upon the case of the concerned person. To consider, if you want a treatment for multiple areas, you may need to go for weekly sessions as per the advice of your medical expert. To give a general example, thinner hairs generally require fewer sessions than thicker hairs. Besides, it gives the assured results after series of sessions of the treatment process, with a single session taking up to an hour maximum. Yes, with electrolysis hair removal, the hairs are removed permanently with your safety maintained throughout the process. It can work effectively on every skin tone with any type of hair growth. It directly targets the root of hair follicle, restricting any regrowth in the treated area. Hairs have different cycles of growth, many of which are not visible on the surface of the skin at the same time. The follicle produces the hair from the blood supply and discards it eventually through shedding. The process of growth, rest and replacement are known as the hair growth cycle. The sequence of events is repeated constantly until a hair ceases to be formed. Immediately following treatment, there may be slight redness, which varies with everyone. The latest technology has made electrolysis more comfortable and effective than ever before. 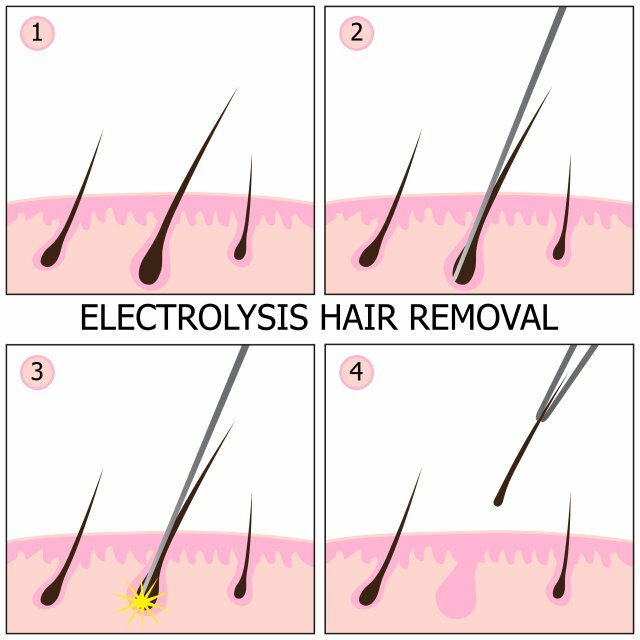 Your electrologist will provide you with post treatment instructions and the personal attention you need. You are assured of the best care from a skilled hair removal professional. Electrolysis works on all skin and hair types. It can be applied to most facial and body parts, including eyebrows, chin, upper & lower lip, jawline & sides of the face, breast & underarms, abdomen, bikini line, legs and back. Based on a personal and confidential consultation, your electrologist will design a treatment plan that addresses your specific hair removal needs. Permanent hair removal using electrolysis has come a long way since its beginnings in 1875. Today’s computer technology enables the electrologist to work with more speed and comfort. Epilators are much quicker, utilizing current timings of thousandths of a second over the longer current applications of the past, plus, intensity settings can now be modulated to varying proportions. The instruments and equipment used in a contemporary electrologist’s office are just part of the changes that have occurred in the electrolysis industry.